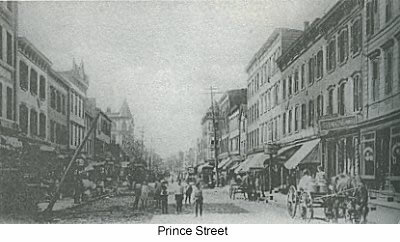 One of my favorite memories of old Newark was going to Prince Street with my father. The east side was lined with Jewish bakeries - Lehrhoffs, Pechters, Wiglers and others I can't remember. The west side had clothing stores. Depending on what we were buying my father had particular bakeries for particular items, one for kaiser rolls, one for rye bread, one for pumpernickel, another for Russian rye. Needless to say we ate some on the ride home to Vailsburg. When school was opening, my mother and father would take me and my sister to Prince early in the morning and wait for a Jewish clothing store to open. Since the owner felt that if they lost the first sale of the day they would have a bad day we always got a good bargain.